Is the thought of having to re-live a traumatic event stopping you from taking the steps to healing? Would it interest you to know that you do not have to re-experience any of it to let it go? Would you like to be able to offer your clients the opportunity to heal from trauma without the need to re-experience it? Well, now you can. I was introduced to Learning Path Integrated Technique in 1997 when a friend suggested I talk to his Reiki Master, Olga Nickle. Olga is the creator of Learning Path. At the end of our phone conversation, she did a mini session on me. I had some congestion in my chest, and within seconds of beginning to work on me I felt fingers moving the congestion around and loosening it up. She was thirty miles away, and to me, that was magic. I wasn’t really interested in energy healing at that time, but I loved magic. It continues to feel like magic twenty years later. Using this technique, I have helped countless individuals heal from the trauma of being abused as a child, of being in an accident, of surgery, divorce and much more. Andrea Winn, my dear friend, will be interviewing me about Learning Path Integrated Technique and how it can help in everyone’s healing journey. At the end, we will take time for Q & A to explore how this invaluable healing modality can change your life and your practice. 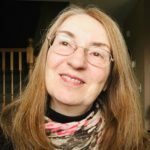 Diane has been a practitioner and teacher of energy healing in Toronto for over 20 years. She is a transplanted country girl with a strong connection to nature. 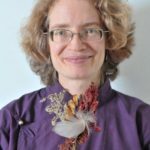 Her healing journey began in 1997 with her introduction to Reiki and Learning Path Integrated Technique by her first Reiki Master, Olga Nickle. She has gone on to become a Master in three more styles of Reiki, including Holy Fire Reiki. Diane expanded her love of Sacred Geometry by studying Axiatonal Alignment, and inner connection by becoming a yoga teacher. She loves connecting with crystals and has a heart-warming collection that assist her in her work and in her life. What does it take to live your legacy? It begins with identifying what your legacy is. Surprisingly, most people’s legacies have a strong relationship to their biggest life challenge. This was the case with me. I was brought up in a large Western Tibetan Buddhist community, and counter-intuitively, it has ingrained sexualized violence within the culture. This heavy dark secret weighed on me all my life, impacting my ability to feel good about myself and fulfilling my purpose. I experienced a powerful shift around this dark secret when I got in touch with my legacy. It opened my inner strength and courage to heal my own wound and become the catalyst behind exposing the leader of my community as a sexual predator. If you’ve seen the movie, Spotlight, about the Catholic Church sexual abuse scandal, you will have a picture of the powerful year I had last year. Although I'm still pretty tender from it all, I’m starting to emerge from my heroic journey. I want to share how I was able to heal my worst wound and help my community to heal in profound ways. I'd like to inspire others to know that they can tackle their worst problems and courageously live a life filled with very personal meaning. My dear friend Diane Young will interview me about the method I used to connect with my legacy and what it was like to live into it last year in this special live interview. There will be time for Q & A at the end to explore how you can begin living your legacy. Andrea M. Winn, MEd, MCS, created the signature 5-step Golden Years Legacy Play method for living a truly fulfilling life through (1) knowing your legacy and (2) evoking your ability to play. Andrea was brought up in a Tibetan Buddhist community and has been meditating for over 40 years. 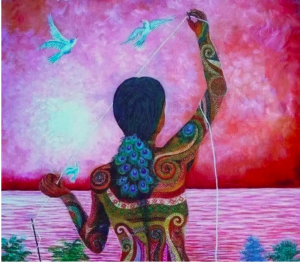 She has integrated a formal Masters degree in trauma healing with a 5-year shamanic apprenticeship. Andrea brings her foundation of meditative discipline, healing gifts and skill as a Coach to guiding people in a clear step-by-step path for living their true legacy. She offers her unique approach through individual coaching, downloadable programs, and the Golden Years Legacy Play Workbook available on Amazon.com. Learn more and read client testimonials.